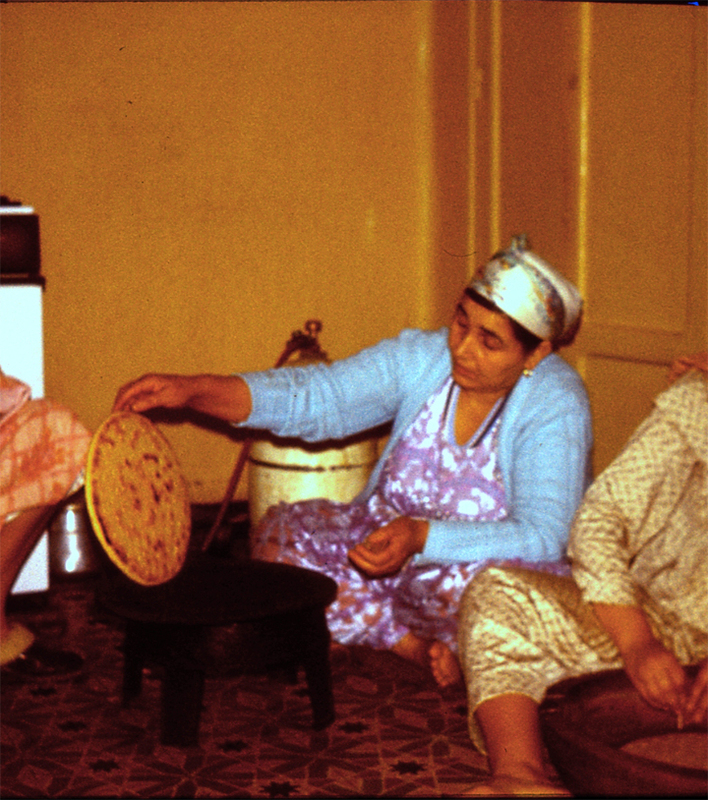 Muslim-Algerian kitchen, Algeria, 1982. Courtesy of the author. Social scientists conducting field research on relationships between Jews and Muslims in the second half of the twentieth century have been exposed to and often wedged in ideological debates originating in the Palestinian-Israeli conflict. The media pressure and public opinion stereotypes make it difficult to provide any insight into these relationships that would not characterize them in terms of hostility or violent conflict. Ethnographic accounts of nonviolent communication bitterly compete with manipulative journalistic reports. In this race for informational authority, academics lose: their authority weighs very little against that of the expeditious, repetitive media, which often convinces academics themselves. But the media information simplifies the extremely complex world of Middle Eastern and Judeo-Muslim relationships, full of paradoxes and oppositions, even contradictions. Hostility towards Jews in the Muslim world can coexist with friendly neighborhood relations between the two religious communities. Indeed, the concept of neighborhood, that is, being neighbors to each other, is indigenous to the history of Judeo-Muslim relations, including in the postcolonial period of the last few decades. The various types of Jewish-Muslim neighborly relations have also been observed and analyzed by ethnographers. Those of us who have conducted long-term ethnographic research with peoples entangled in those ideological debates have indeed regularly been exposed to the daily and ritual exchanges of communication, services, and (edible) goods between Jewish and Muslim neighbors in various countries of North Africa and the Middle East. The recent revival of interest in Jewish culture in Morocco is an interesting example of such forms of neighborly paradoxes. In 2007, a few Moroccan Jewish and Muslim students and young scholars from Al Akhawayn University in Ifrane mobilized their neighborly efforts to create the Mimuna Club (MC), an association with cultural goals whose members meet and organize conferences throughout Morocco about the Judeo-Arab heritage of their country of residence and nationality. They also opened a Facebook site to allow former neighbors presently residing all over the world to communicate about this agenda with a clear peacemaking and ingathering purpose. As of spring 2014, the MC on Facebook totaled some 377 members. In 2008, the MC published the first issue of Moroccan Jewish Days, the MC's annual review. Other MCs have been created in various Moroccan cities, such as Marrakesh, Fez, and Rabat. Several characteristics of this association should be noted. First, its name, the "Mimuna" Club. The term Mimuna designates the ritual that marks the end of the Passover week's dietary restrictions and originates among Moroccan Jews. In the past several decades though, Mimuna parties have been celebrated among most Jews of the Muslim world, from North Africa to the Middle East, even though not all these communities call this ritual Mimuna. In practice, the ritual marks the return to the leavened diet, and is essentially organized around the festive communal consumption of various sweet and savory flat breads, baked during the gathering of friends and relatives. The ethnography of the ritual in North Africa or Israel has documented the nature of these post-Passover dishes, from mufleta, a type of leavened pancake served with honey and cheeses, to sweet couscous and meat stews with dried fruits. The ingredients used for the baking of these Mimuna dishes include grains that have been "expelled" from the Jewish houses during the pre-Passover spring cleaning. But instead of trashing those ingredients because they are suspected of containing nonkosher leavened substances, Jewish families would give them away to their Muslim neighbors for the week. At the end of Passover, those Muslim neighbors would return the food, most often in the form of fresh grain or baked goods. The exchange of food between Jews and Muslims at the end of the Passover week is the material formulation of the return to daily neighborly relationships between the two communities. Indeed the Passover week, with its battery of special dietary restrictions, is also a cyclical withdrawal into the inner frontier of Jewishness, that is, a centripetal social process. By contrast, the ritualized conclusion of these restrictions is characterized by the reinstatement of normal daily relations with the Muslim neighbors, a centrifugal social process. The founding members of the current Mimuna Club celebrate this cyclical and daily neighborly relationship, and in doing so, claim to recognize and promote Jewish participation in a diverse, multiethnic and multireligious Moroccan heritage. —To encourage youth to discover the Moroccan-Jewish culture that has always been present in the Moroccan history, in its everyday life. —To show youth (in particular) and other members of the Moroccan community (in general) how Moroccan-Jewish life is like and what traditions they have, with the highlight of its uniqueness as well as similarities with Muslim traditions in the context of Morocco. Indeed, virtual communication, the internet, and Facebook are favorable formats and venues for these types of "neighborly" relationships to deploy, after the postcolonial massive emigration of a large number of Jews from North Africa and the Middle East. For exiled North African Jews, Facebook and the internet are used to remember major assets of their native countries, communities, and cultural traditions. The remembrance of recipes, flavors, and images of ritual and daily food gatherings is important for celebrating the culture in exile. For the Muslims who have stayed behind, Facebook and the chatrooms of various internet sites are favorable loci of remembrance of their Jewish neighbors, of their cuisine, and shared daily domestic encounters. The process is clearly at work in Francophone websites such as Harissa.com, Zlabiya.com, and Dafina.com, or the witty Facebook site La Dafouineuse. Those sites, named after celebrated recipes of the North African Judeo-Arab culinary heritage, vibrantly call for communication between Jews and Muslims who use them profusely in exchanging, critiquing, and promoting their respective recipes, in their search for the "authentic" (grandmothers') cuisine. Chat rooms are used to send religious holiday wishes to the membership, and other sections are filled with memories of native towns, photos of culinary presentations, elementary schools, and other childhood souvenirs. But what is key to the operation of the Mimuna Club and other virtual Judeo-Muslim associations, is their engagement in the preservation and promotion of Judeo-Muslim collective memory. They suggest that this collective memory has been constructed in the many decades of shared domestic life, shared meals and ingredients: the incorporated memory of coexistence. Obviously, the entire Arab-Muslim world does not have the preoccupations that are so dear to the members of the Mimuna Club. The latter are well aware of this situation when they write in their review that "Morocco may well be a model of Jewish-Muslim coexistence." But what is important to note here is that Judeo-Muslim coexistence transpires in both recent and less recent Middle Eastern and North African history. And some young educated people plan to maintain the memory of this history and pass it on to the young generation. A large nest is always built with tiny twigs. Joëlle Bahloul is professor of Anthropology at Indiana University. She is the author of The Architecture of Memory (Cambridge University Press, 1996).